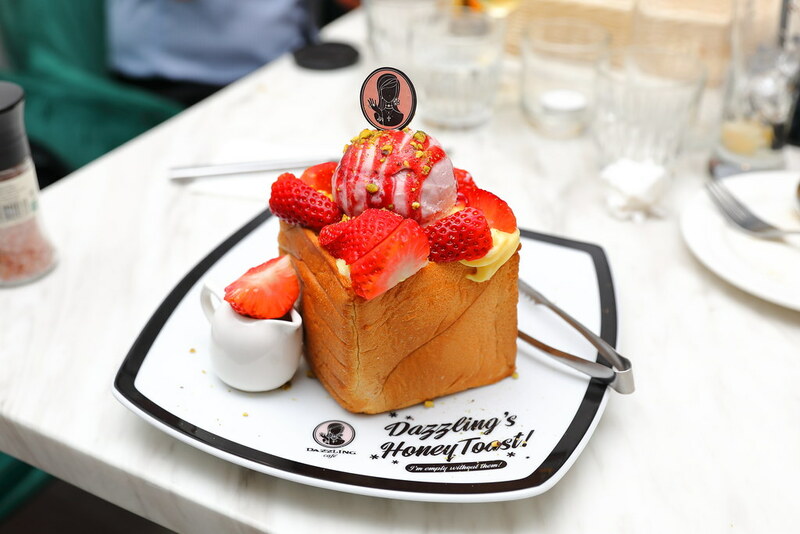 If you are a fan of Dazzling Cafe's honey toasts, you will be glad to know that you can still have them at the newly opened Botany by Dazzling Cafe at Robertson Quay. 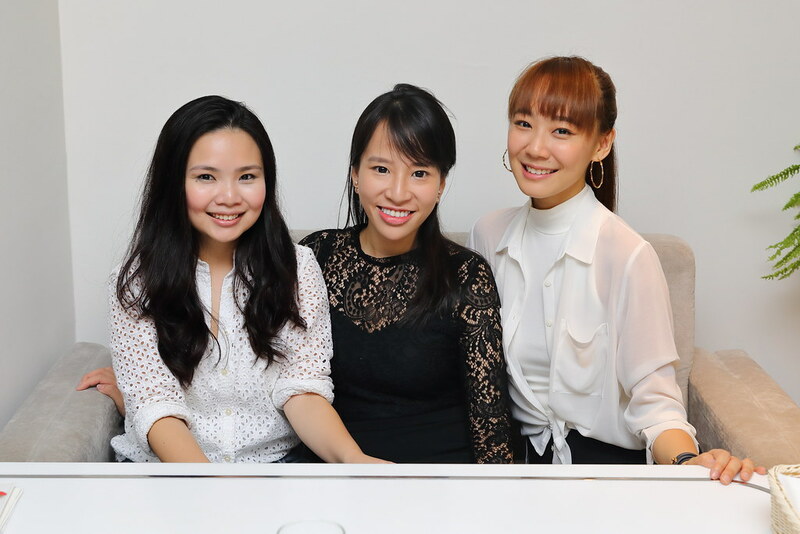 With the closing of Dazzling Cafe, the trio of Actress Julie Tan, her cousin Cassandra and childhood friend Serene have come together to create a relax space for bonding while enjoying a soulful meal, regardless if one is a meat-lover, vegetarian or vegan at Botany. 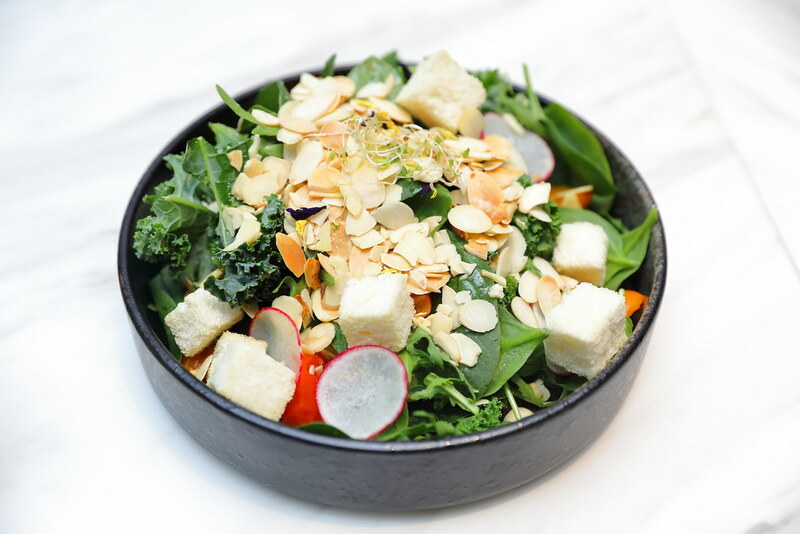 For those that are looking for something light and healthy, there is the The Botanist Salad ($15). 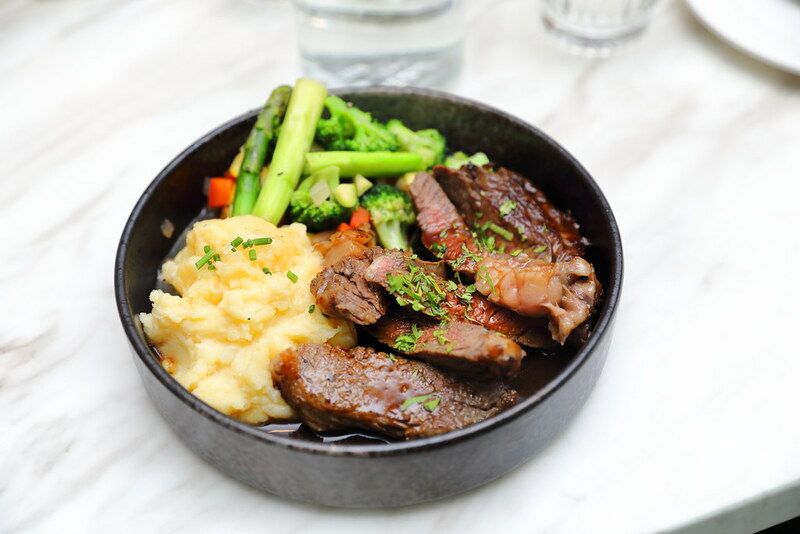 It comes in a blend of fresh greens dressed in homemade apple cider vinegar honey sauce. Add-ons such as almond flakes, smoked salmon, grilled chicken, pan seared salmon, pan seared steak and Impossible patty are available at an additional cost ranging from $3 to $7 for each topping. 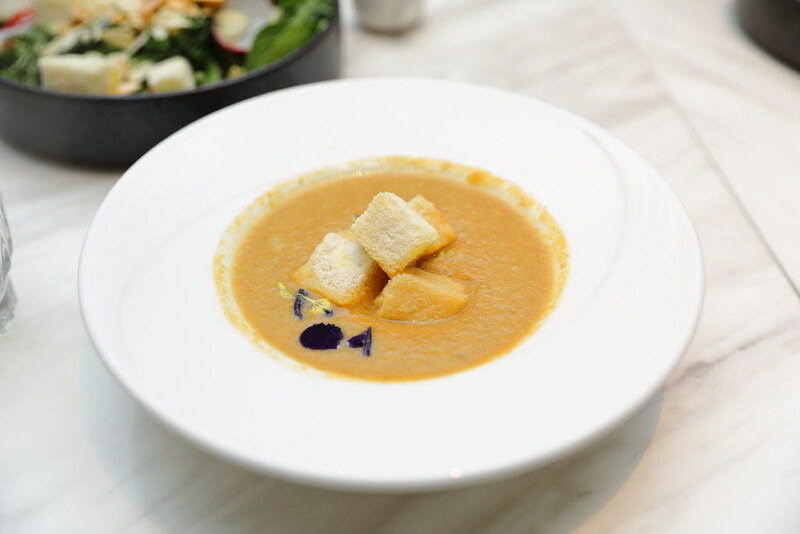 The Curried Cauliflower Soup ($10) is a vegan soup made with coconut milk and spiced with curry paste. The soup has a velvety and creamy texture, in which one can still bite into the blended cauliflower bits. 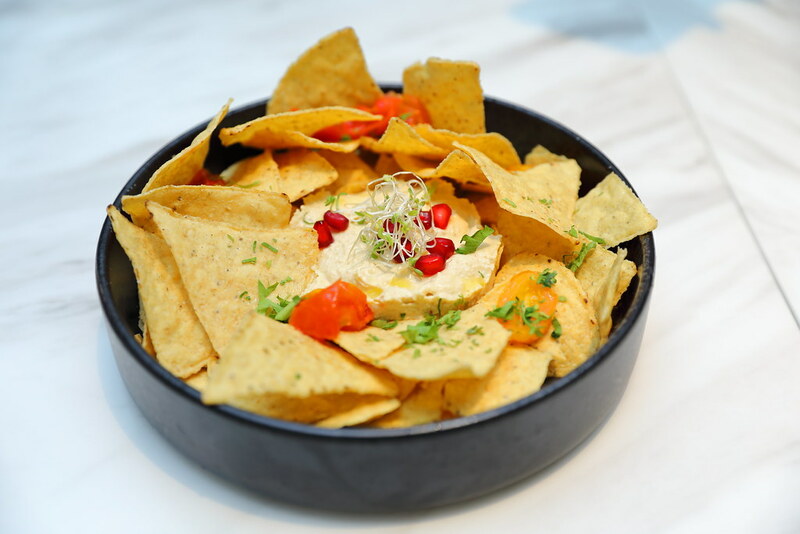 A delightful snack on the menu is the Homemade Hummus with Baked Nachos ($12). Applauded to the homemade hummus doused with olive oil that goes well with the crispy baked nachos. 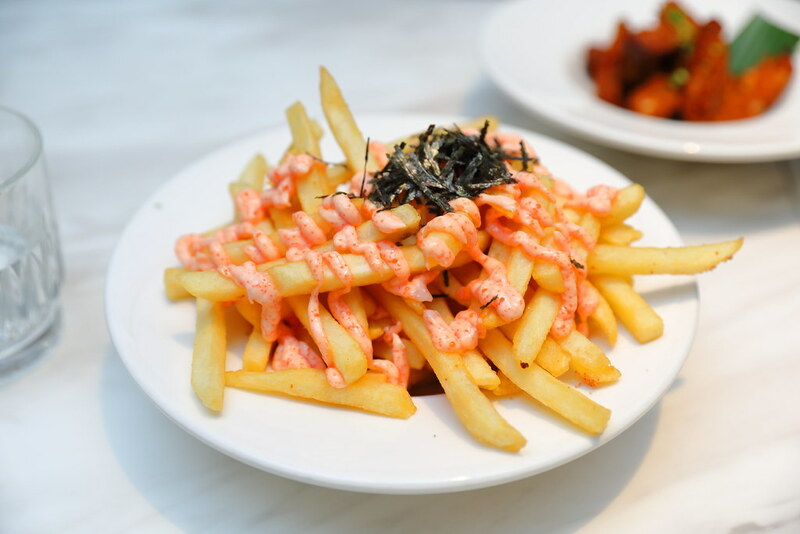 It is quite common to see French fries or spam fries on the menu but Otah Chips ($13) is a first for me. I love my otah but the fried mackerel fish paste strips did not manage to wow me. I guess I still like the traditional otah more. Of course there is still fries on the menu. 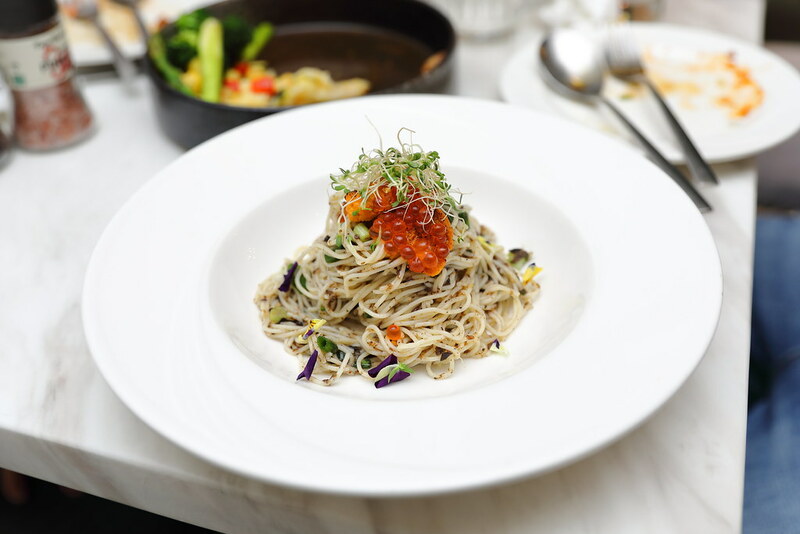 At Botany, they served an elevated version, Signature Mentaiko Fries ($15) with mentaiko dressing topped with nori. Nothing unique but definitely an all time favourite to munch and share with a group of friends. 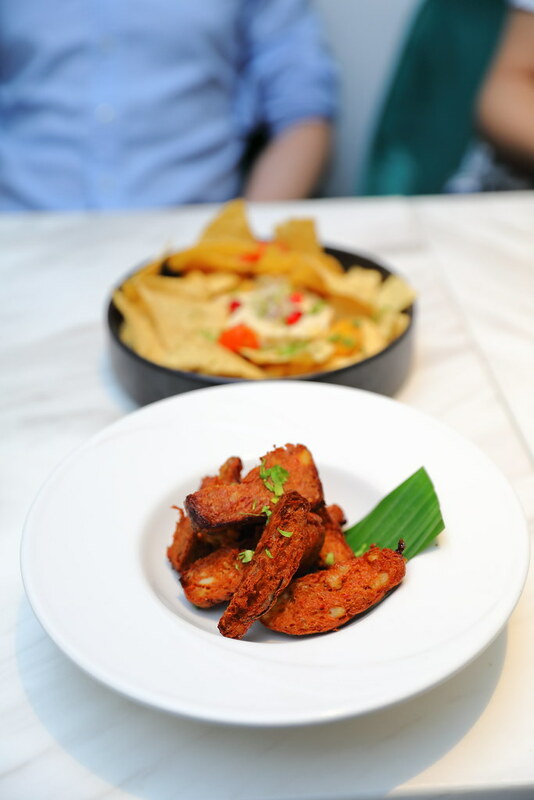 A more addictive starter is the Taiwanese Chicken Bites ($13). 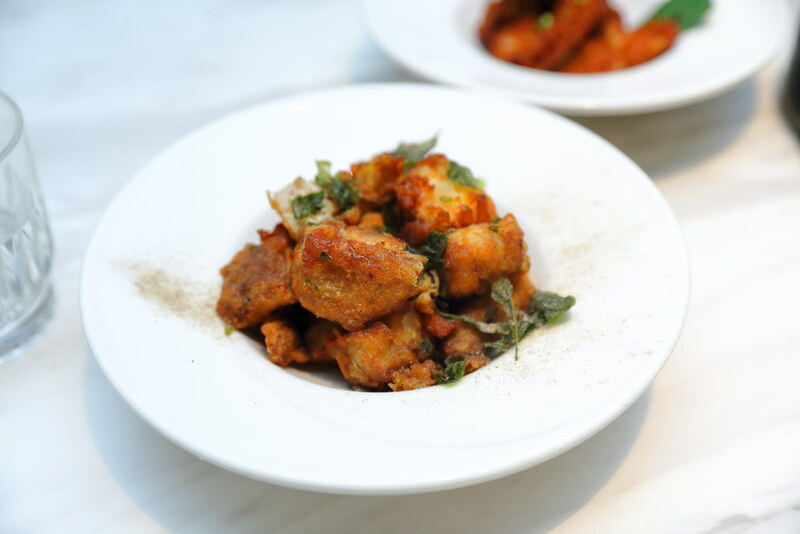 Love the used of marinated chicken thigh for the tender bite, complemented by the Taiwanese spice seasoning. This is great to go along with some beer and wine. A very hearty and comforting rice bowl is the Mapo Tofu Rice Bowl ($18). 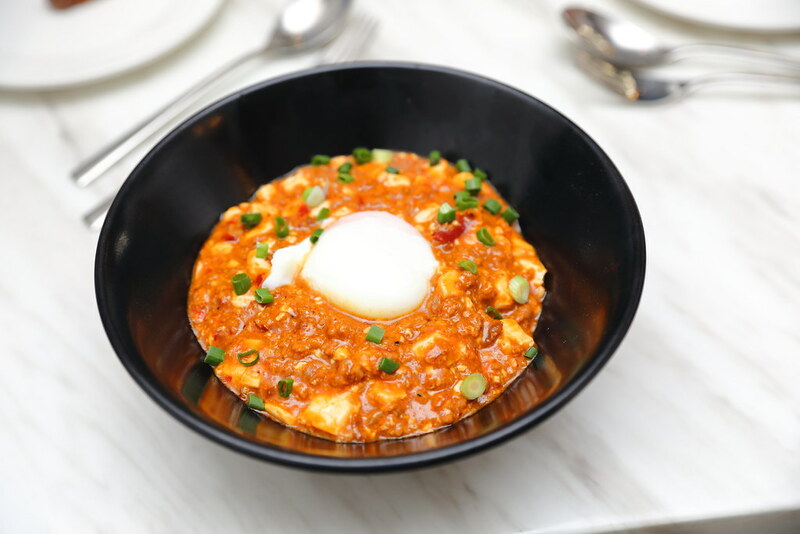 The Japanese rice is paired with silken tofu cooked in Szechuan spices and minced chicken, topped with sous vide egg. I would prefer it to be more spicy but I can understand the need to cater for the wider group. 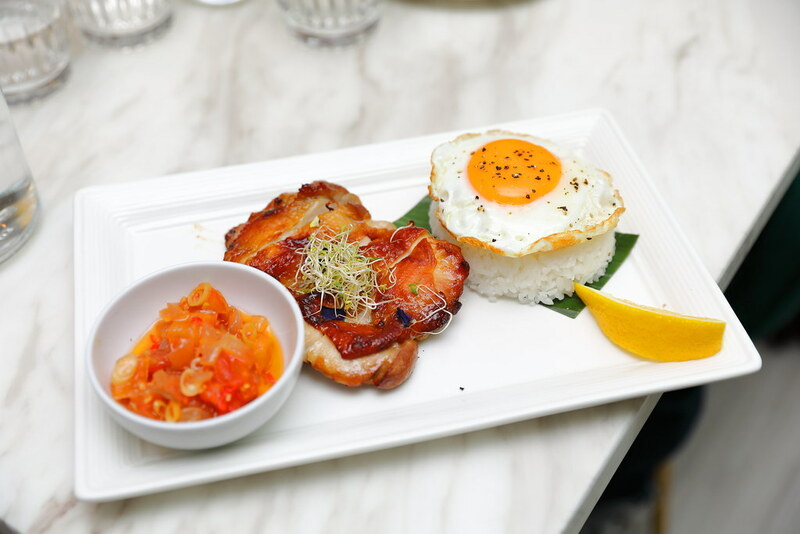 Another rice dish on the menu is the Signature Grilled Chicken with Balinese Salsa ($18). A complete meal on a plate that comes with boneless chicken leg marinated with spices and a fried egg, paired with homemade balinese salsa. My advice don't miss out the delicious chicken skin, it was heavenly. While I enjoyed the texture of the pasta for the Uni Truffle Cappelini ($28) topped with sea urchin and salmon roe, it was unfortunate the truffle was a tad overpowering, masking the appreciation of the sea urchin. Served chilled, this is actually quite refreshing. A dish that I would go back for is the Pan-Seared Barramundi ($26) with mash potato. 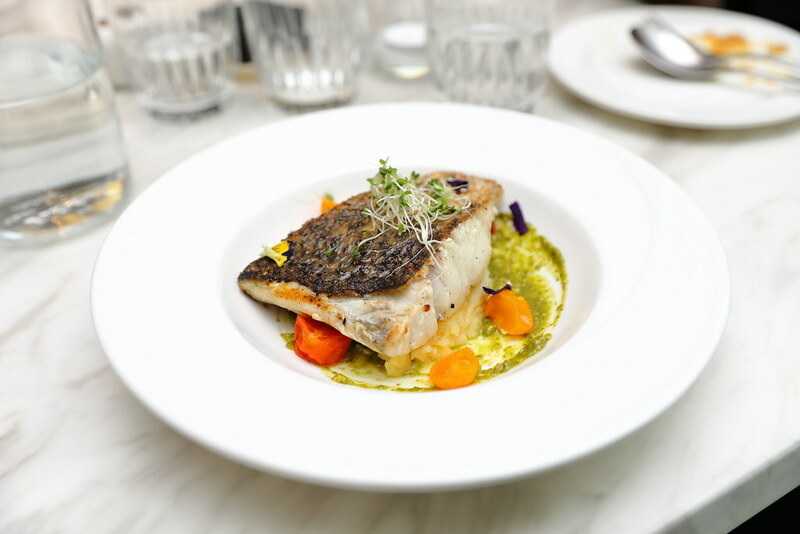 The huge piece of pan seared barramundi is well cooked and justify for the pricing. It is paired with pesto sauce which highlighted the moist fish but not stealing the limelight. For the meat-lovers, there is the Australian Grass Fed Ribeye 250g ($28). Nothing fancy but just allowing the succulent ribeye cut with black pepper sauce to shine . It also comes with butter mash and greens on the side. 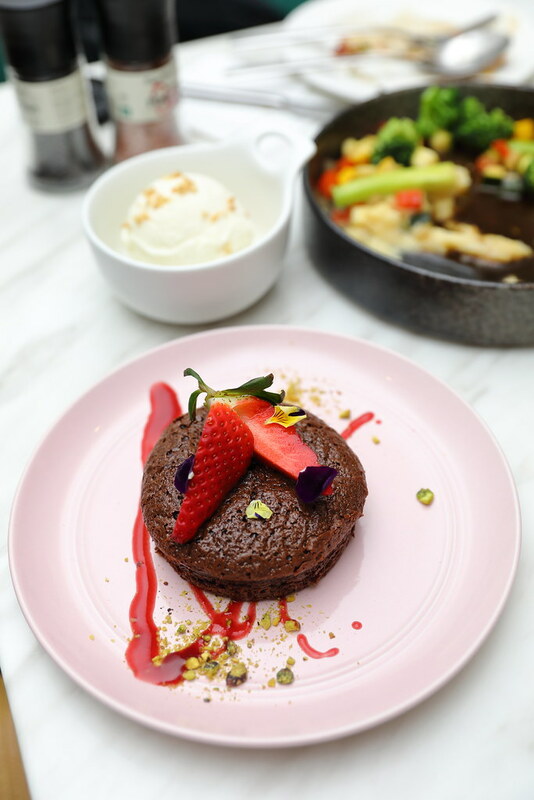 For dessert, we tried the Gluten Free Chocolate Cake ($9). A moist and soft interior with crusty edges for the chocolate indulgent. I have to admit that I have never tried the Dazzling Cafe's Signature Honey Toast ($18) and this is my first time having it. Not only is it pretty and instragrammable, it is actually very good. Definitely one of the better ones I have eaten. Other flavours available on the menu are dazzling classic, caramel macademia nuts, banana chocolate, strawberry lover and hazelnut chocolate. 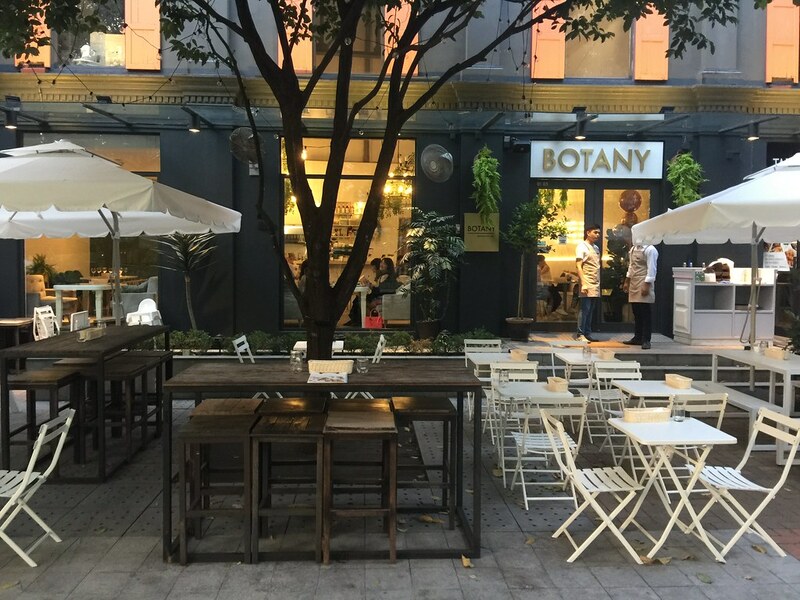 I like the new space at Botany by Dazzling Cafe with its greenery and river facing. 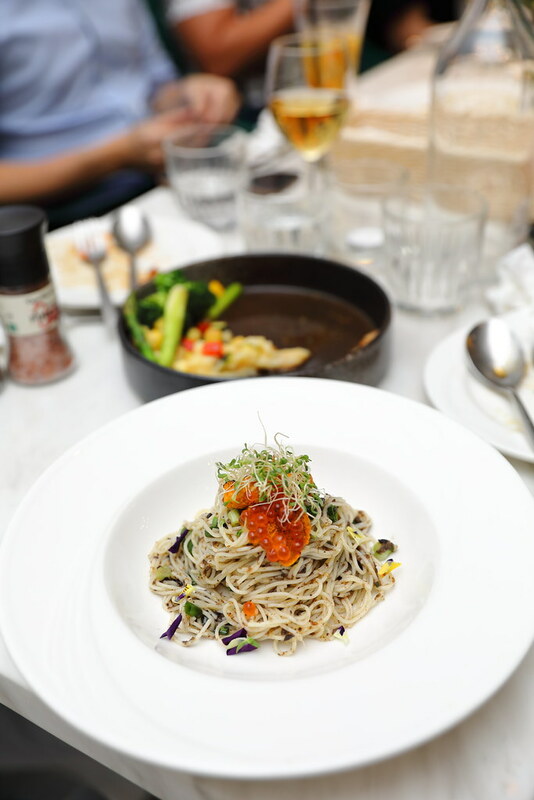 Food is pretty decent but in the competitive F&B stretch, I felt that it needed more character or theme to stand out.